By taking a few simple measures you can reduce your energy bill. Every little light that is glowing in your home has to be powered by electricity. Walk around your home and count the number of lights that are glowing. These lights can be on your computer, an alarm clock or stove light. Do you need to have these lights chewing power? We have tabled a number of ways to cut your energy bills. Energy-efficient globes could save you up to 80 percent off your lighting costs. LED bulbs use less power and last longer. That means you spend less money and time replacing them. Thanks to a Victorian Government program, light globes can sometimes be replaced for free, or at a reduced cost. Find out more about this and other discount energy-saving products at Victorian Energy Upgrades. How does Victorian Energy Upgrades work? Do you have a number of lights running on appliances you are not using? You may have a computer that you shut-down but typically there are a couple of little lights glowing. Once you shut down your computer turn it off at the power source. This is also a good idea for any other appliance you are not using. Turn them all off at the power source. Wait until your washer is full. Then wash your clothes in cold water. Try the shortest wash setting and see if you are happy with the results. Dry them naturally in the sun or hang them in a ventilated room. Whether you are heating or cooling your home it helps if you contain either the hot or cool air. Simply close your doors and curtains. Look for draughts in windows and doors and seal then appropriately. Check your roof and walls for insulation. Insulation is the cornerstone of an energy efficient home. Insulation is also the most cost-effective way to improve the energy efficiency and comfort of your home. A fully insulated home compared to a non-insulated home can reduce the cost of heating and cooling a home by around 40 to 50 percent. You can visit Sustainability Victoria for insulation information. 6. How energy efficient is your home? Do an assessment of your home appliances and note their ratings. 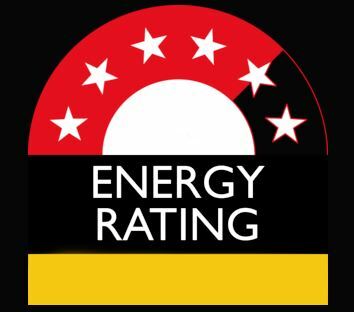 You can visit the Government run Energy Rating calculator website. On the site, you can check all types of appliances from dishwashers to washing machines and so on. Find out all the energy suppliers in your area. Contact them and see if they have a better offer than your current provider. If they do the first thing you should do is go back to your current provider and tell them a competitor has a better offer.